These are dark times in Strakhelm, but almost none of the realm’s subjects know that they are living under a shadow. The royal family has been slaughtered by shapeshifting nightmare creatures called the Umbral, and the only witness is a young girl — a thief named Rascal. In UMBRAL VOLUME ONE: OUT OF THE SHADOWS, coming from Image Comics in May, the monsters of legend of risen and Rascal’s only hope to save Strakhelm just may lie in the forbidden practice of spellcasting and magic. Writer Antony Johnston (THE FUSE, Wasteland) and artist Christopher Mitten (Wasteland) create a fully realized world in UMBRAL — from the palace perched atop a sheer cliff, to the haunts of drunks and smugglers, to the caves of Strakhelm’s labyrinthine underworld. The scope of UMBRAL is set to broaden, too, as Rascal and her friends — a foul-mouthed female smuggler, a doubting scholar, and a mysterious wizard — embark on a desperate mission across the realm to destroy the source of the Umbral’s power, even as the monsters close in on them. 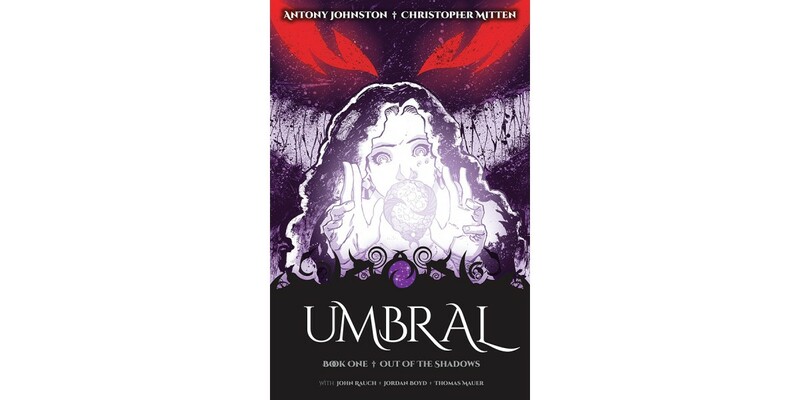 UMBRAL’s richly painted art, engaging characters, and masterful world-building create a story that fans of dark fantasy stories like Labyrinth and The Dark Crystal will lose themselves in. Its first volume, OUT OF THE SHADOWS, collects the first six issues and will be in comic book stores on May 28 and bookstores on June 10.